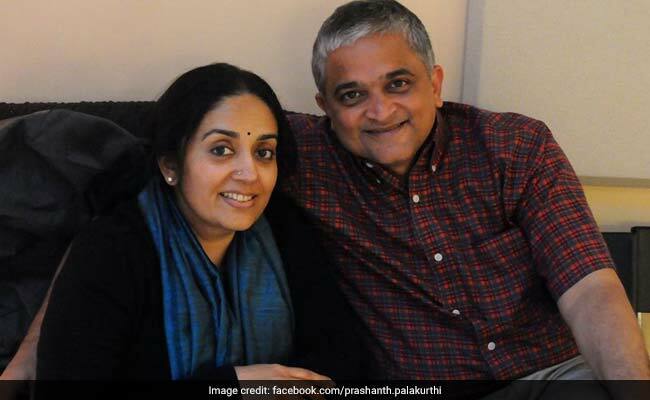 The couple -- Prashanth and Anuradha Palakurthi -- made the announcement on Friday, during the ruby anniversary celebrations of Prashanth's 1978-83 batch. The couple gave the largest individual donation ever received by the institution. More than 200 alumni of the batch have gathered from all over the world to relive their campus memories in the desert town of Pilani in Rajasthan from November 16-18. Warmly welcoming the contribution, Prof Souvik Bhattacharyya, Vice-Chancellor, BITS Pilani, termed the announcement by the Palakurthi's as "momentous and a game changing gesture". "With this pledge, BITS Pilani is launching a campaign to set up a Rs 100 crore Research Endowment Fund. This fund would help provide an additional thrust to Research by way of attracting research driven faculty, post-doctoral fellows and research scholars," he said. Prof Bhattacharyya said the donation will also help "provide seed fund support to new faculty, and help set up advanced research labs to purse institutional research agenda." "I believe Prashanth and Anuradha have started a brilliant endeavour to propel BITS Pilani to the next level; I understand they will continue to support and I invite other eminent Alumni to support us in our efforts," Mr Bhattacharyya said at the event. Prashanth Palakurthi is the Founder and CEO of US-based Reflexis Systems, and his wife Anuradha, the founder of Juju Productions, is a professional singer and radio personality in the United States. Speaking at the gala event commemorating 40 years of his entry to BITS Pilani, Mr Prashanth said that "we wanted to give back to our alma mater which gave us so much and where we started our journey." Anuradha, who joined BITS in 1984, said the institute has needs in several areas including infrastructure and research. "We hope our contribution is followed up by many more from the family of hugely successful alumni, " she said. At the event, Ms Anuradha also performed JuJu Prouctions' first live show, titled Desert Storm, accompanied by a 42-member musical band from Bollywood. Prof A K Sarkar, Campus Director, Pilani, applauded the donation and said, "The Research Endowment Fund would be instrumental for our journey to pursue our agenda for Institute of Eminence (IoE) in the years to come". "The gesture by Prashant showcases the love and emotional bonding that BITSians across the globe have for their alma mater. His contribution would go a long way in inspiring other alumni to give back to BITS in tangible and intangible ways, said Prof Arya Kumar, Dean Alumni Relations. BITS Pilani was conferred the 'Institute of Eminence (IoE)' status in July by the Union government alongside IISc Bangalore, IIT Delhi and IIT Bombay. BITS Pilani operates from four campuses at Pilani, Goa, Hyderabad and Dubai and features in prestigious international and national ranking such as QS Asia ranking. Recently it broke into the World top 500 ranks when it was ranked 401-500 in the THE 2019 Subject Ranking for Life Sciences.